How do I connect to the Miami International Airport Wi-Fi Network? To connect to the Wi-Fi network at MIA, firstly insert or activate your Wi-Fi adapter on your computer or smartphone and connect to the “MIA-Wi-Fi” network. After that, launch your web browser and you will be automatically connected to the Wireless Internet Access. If you don’t get connected, then try to refresh or reopen your browser. How big is the Miami airport? 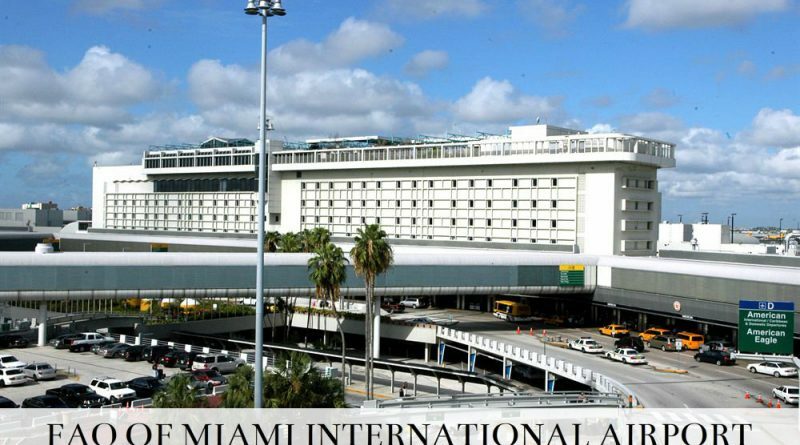 Miami International Airport (MIA) covers a total of 3,230 acres of land near downtown Miami which is operated by the Miami-Dade Aviation Department. Can you smoke in the Miami airport? YES, you can smoke at Miami International Airport as the airport provides smoking areas for the passengers. They can find one on Level 1 of arrivals and Level 2 of departures across the street from Concourses D, E, F, H and J, and inside too at Concourse D.
What terminal is American Airlines at MIA? At Miami International (MIA), the American Airlines has Check-in counter location at Concourse D and Departure at Concourse D & E.
How can one get access to Currency Exchange at MIA? Travelers can find the foreign currency exchange booths at four locations of the MIA. One is on the 2nd level throughout the terminal, two in each concourse E (1st level) and concourse J (3rd level) and one is inside the concourse D along with one at E Satellite building. ← A Guide To Miami Airport Hotels, Lounges, Terminals & Reviews!